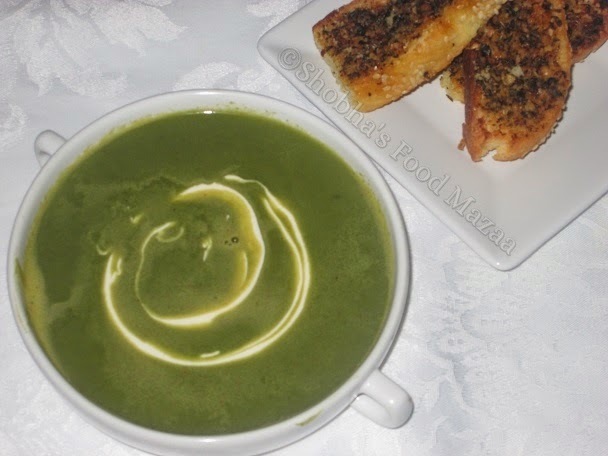 This delicious cream of spinach soup is rich, creamy and satisfying. 1. Boil the spinach with about 1 & 1/2 cup water, salt and grated ginger. 2. Let it cool and then blend it well, and check for salt. 3. Just before serving, add the cream and give it one boil. 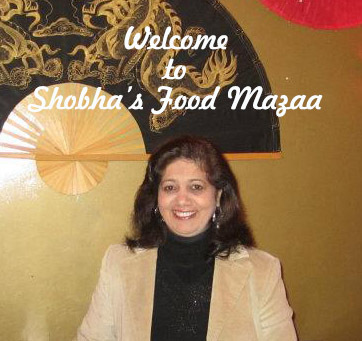 wow this is another lovely dish, Shoba! hopping over from Ayeesha's blog :) two thumbs up! Healthy soup and colorful. Thx for linking. Love this soup and especially in winters this feels like a meal in itself. The cream adds the right amount of richness and the smooth texture too. This is usually our dinner option on most days, minus the cream ofcourse. Loved the recipe. Thanks Vidya.. sometimes I just add some milk instead of cream. Greeny soup filled with cream are delicious and yum yum filling soup..
What a quick and healthy dish. Love the colour. Adding cream to the soup must make it taste lovely and smooth. I love this idea as you can make it quickly when you come homefrom work and serve it with some french bread. Thanks dear Mina.. yes soups are great for a working lady as they hardly take time.